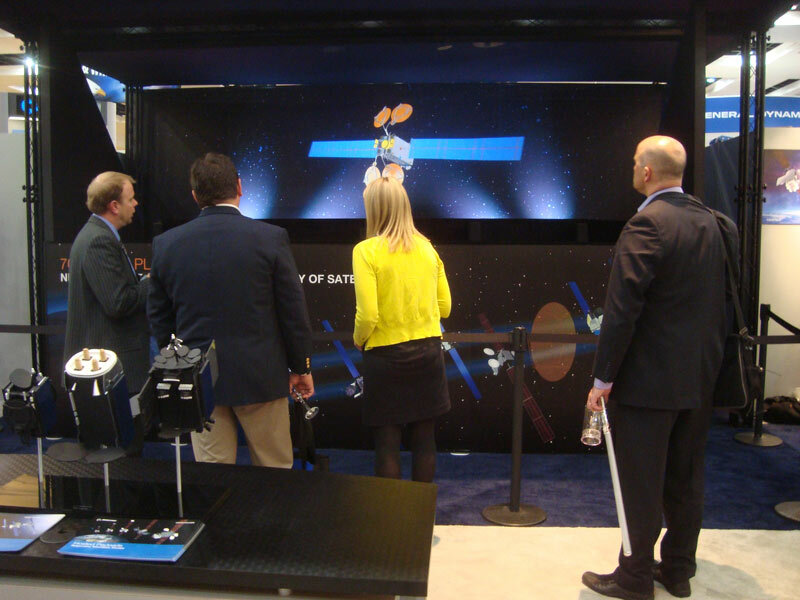 My love of space technology and holography were recently combined when I was asked by Boeing to create a holographic presentation for their booth at the 2012 Space Symposium in Colorado Springs, CO. I had presented a smaller holographic satellite at the 2007 Space Symposium so it was nice to return for an encore performance. This time it was to introduce the new 702 series of satellites for Boeing.